Privates consist of live sparring, technique breakdown, customized drills and a personalized goal sheet. If you’re a competitive grappler, Tech-Cell offers private or small group game planning workshops that will prepare you to win in your next tournament. Following privates, Tech-Cell offers a free 30 minute Skype or Google Hangout follow-up for troubleshooting. Video exchange is also available via YouTube. "What really sets Krishna apart is his ability to deconstruct your game and give you a solid plan to make sure you can get to the finish." Throughout my over twenty year career in martial arts I've trained multiple Brazilian Jiu-Jitsu and Submission Grappling tournament champions at all experience levels and weight classes. I believe in refining my clients' games and introducing technique, training, diet, conditioning and strategy to promote rapid growth. I am a Brazilian jiu jitsu black belt under former UFC Welterweight champion and ADCC champion Matt Serra. I have also trained and learned with Joe Scarola, Pablo Popovitch and Marcelo Garcia. It is very important to me to remain a student of ground-fighting in all its forms for the rest of my life and stay on the cutting edge of the art. I have pioneered an innovative grappling instructional program that allows untrained beginners to succeed in tournaments with a minimal amount of preparation and advanced competitors to turn the corner to find their path to victory. I regularly refine and implement my method as grappling coach in residence at Red Dragon Jiu-Jitsu in Centereach, NY. "Krishna has a scientific approach that leaves no technical gaps in your game." Fine tune your techniques and develop a game plan to realize competition success in one on one instruction. Each lesson includes a half hour Skype or Video exchange follow-up, a game planning worksheet and an invitation to participate in a free class with the Tech-Cell competition team. Train at a discounted rate with 1-2 partners. Bring friends or be partnered with a client of similar size and weight. Experience a week-long individual or small group training camp with custom instruction tailored to your needs. Tournament coaching and supplemental Skype or video exchange also available. Develop reliable and effective submissions that you can incorporate into your fight game plan. 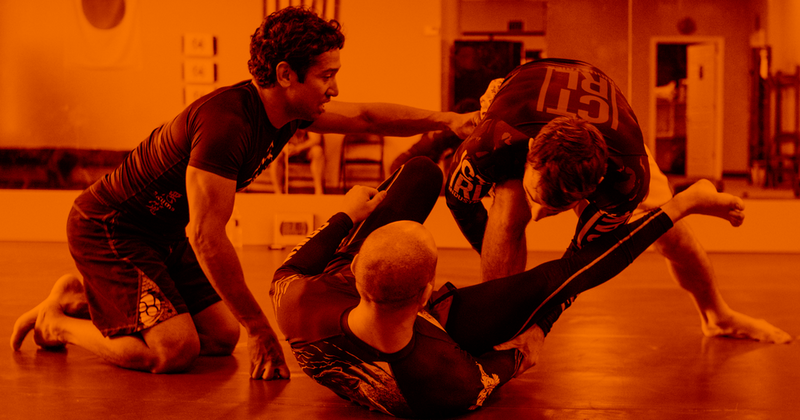 Sharpen your submission and positional defense to keep the fight where you want it. Cornering also available. "Krishna's knowledge and ability to connect with people has been a great asset to my practice as both a martial artist and a school owner." For more information, scheduling and pricing, please fill out the form below and I'll get back to you as soon as possible. Thanks for your interest in my program, I'll get back to you as soon as I can!